Blakeney Guest House was once a large Edwardian family home and is now owned by Mark and Louise who pride themselves on providing an excellent service to all of their guests. Located Away from the hustle of the city centre, Blakeney House is perfect for discovering the many attractions of York itself as well as the surrounding countryside. 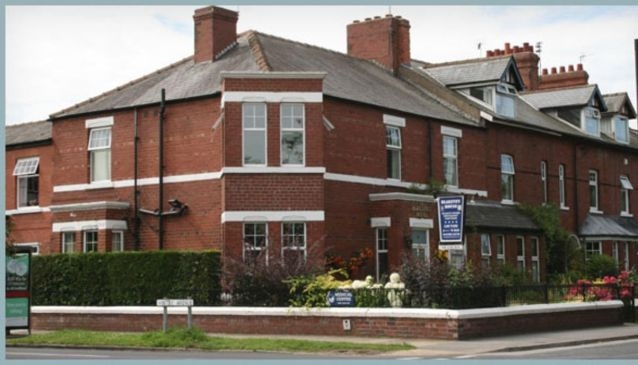 Blakeney House is situated on the east side of York which makes travelling to the east coast resorts of Scarborough, Whitby, Bridlington and Filey really easy. Keen cyclists can also pick up many cycle routes from here including the 'Way of the Roses'. Mark and Louise are happy to provide additional services to groups of cyclists (contact directly for more details) and they can also provide secure bike storage. Guests can relax in the lovely lounge which has free WIFI, digital TV, family games and lots of useful tourist information. Traditional English breakfast is freshly cooked using locally sourced ingredients, where possible. Lighter options are available plus cereals, yogurts, fruit juices and fresh fruit salad. Vegetarians and gluten free diets can also be catered for, please mention when making a booking. One night stays are welcome - please contact us directly for the best available price.